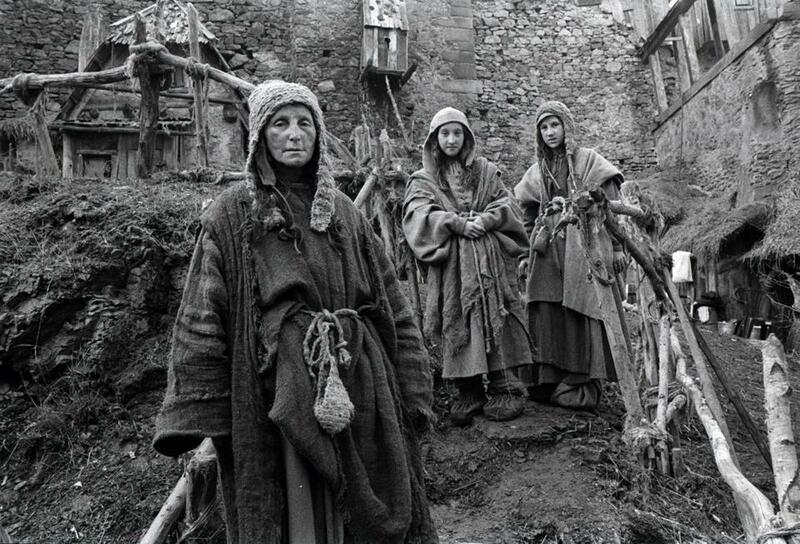 The late Russian director Aleksei German brings that vision to the screen in his final feature, “Hard to Be a God.” (German died in 2013 of heart failure at 74.) The Brattle Theatre in Cambridge is showing the black and white film, a disgusting and sublime adaptation of the 1964 sci-fi novel by Boris and Arkady Strugatsky (who also wrote 1972’s “The Picnic at a Roadside,” source of Andrei Tarkovsky’s 1979 masterpiece “Stalker”). Set on Arkanar, an alien planet lodged in the mire of the Dark Ages, “Hard to Be a God” resembles HBO’s “Game of Thrones” — if the thrones in question were of the porcelain variety (not that there is any interest here in indoor plumbing). Back on the Earth, now in a utopian future, the Soviet experiment has succeeded, and scientists from that socialist paradise have journeyed to Arkanar to observe, perhaps to nudge, but never to intervene (they apparently possess awesome powers) as a frail civilization struggles to emerge into a Renaissance. One of those scientists, disguised as a local nobleman named Don Rumata (Leonid Yarmolnik), chafes against the policy of non-intervention. He watches bitterly as enlightened indigenous friends fall victim to the totalitarian ambitions of the sadistic Don Reba (Aleksandr Chutko). As in terrestrial reigns of tyranny from the Spanish Inquisition to the Soviet terror in the ’30s to the Islamic State today, Don Reba targets the literate, rational, and freethinking — “bookworms,” the film labels them. An early victim is shoved headfirst into a latrine. Such is the premise of the film. But the vividly realized squalor, cruelty, and ugliness engulf everything, including the narrative. The camera follows Don Rumata like a bystander, and parades of leering faces jam the screen, stretching into vistas of casual depravity and atrocity, images like those in Pieter Bruegel’s “The Triumph of Death” or Hieronymus Bosch’s “Christ Carrying the Cross.” And, of course, there are the acres of ankle-deep poop, mud, and other unidentifiable excreta. Bizarre, freakish, debased, and endless, this is a world that would have impressed Pasolini, Fellini, or Jodorowsky. “What is a God to do?” he asks one of Arkanar’s last literate men, who at the moment is trying to urinate against a wall. The course of history offers no answer.